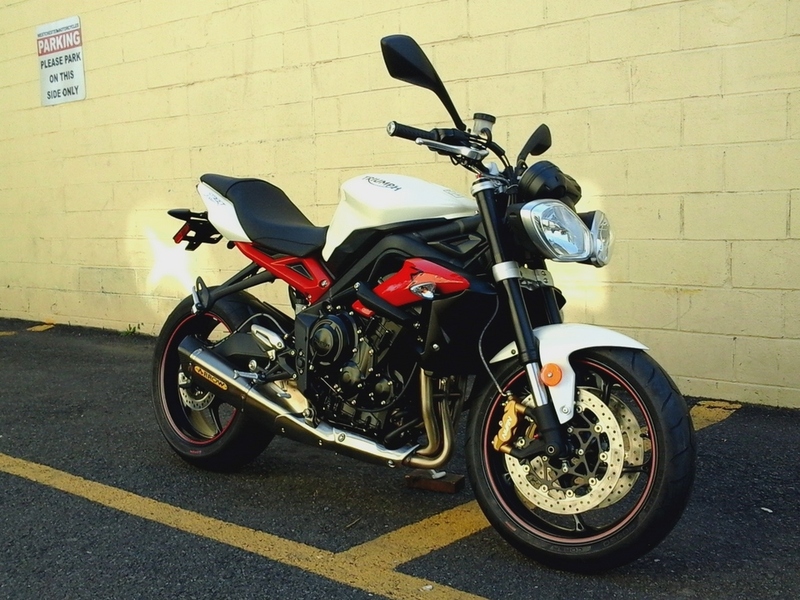 THIS 2017 TRIUMPH STREET TRIPLE R WITH THE TRIUMPH SPORT PACKAGE IS IN BRAND NEW CONDITION WITH NO MILES ON IT. AVAILABLE IN WHITE. LIMITED TIME OFFER. BIKE COMES WITH TWO YEAR UNLIMITED MILE FACTORY WARRANTY. FINANCING FOR ALMOST ANYONE! ALL TRADES WELCOME! PLEASE CALL 914-358-1154 TO MAKE SURE IT IS AVAILABLE. SPORT PACKAGE INCLUDES: FENDER ELIMINATOR KIT, ARROW EXHAUST, FRAME SLIDERS, AND QUICK-SHIFTER. Special price shown reflects Triumph incentives.